Cottonwood Park is conveniently located on Fort Richardson with fields and multiple playgrounds – the perfect stomping ground for SSM! This is a location that doesn’t even require military spouses to leave post. If you are not military please contact us about getting post access. We park on the far side of the park closest to the river and begin class under the totem pole. Town Square park offers a lot of open space to run and S.L.A.M. There are small paved areas, some paths and hills to add fun dynamics to our classes. After class, there is fun playground equipment for bigs and littles to scramble over including 3 different slides, climbing walls, a music station, two different types to spin on, a giant rocker, and more. There are multiple parking lots around the park. We will park and start hill/bus stop parking lot. On Mondays and Wednesdays we will be meeting at the Harry J. McDonald Memorial Center located at 13701 Harry McDonald Rd Eagle River, AK 99577. The McDonald Center is Alaska’s Premier Sports facility! Olympic ice arena, turf field, 2 running tracks, meeting and party rooms, outdoor field and everything a SLAM community could want! Every Tuesday and Thursday we will be meeting at The Northeast Community Center Boys and Girls Club located at 1251 Muldoon Rd, Anchorage, AK 99504. Every Friday we will be meeting at Hangar 5 on JBER for our FREE class. Keep Up With SLAM'n Anchorage! Join SLAM Anchorage on Instagram! Contact the SLAM Anchorage Team! Katie has a bachelor’s degree in both nursing and psychology and has been an ACE certified group fitness instructor since 2013. She is also CPR/AED certified through AHA. She holds a license as a registered nurse in New York State. She became a member of Stroller Strong Moms Columbus in 2012. 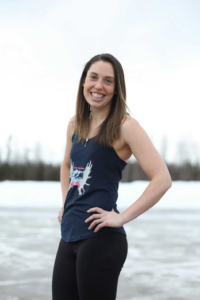 After falling in love with the community and program, she went on to becoming an instructor and then had the opportunity to open SSM Fairbanks. 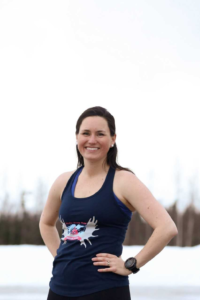 Being a military spouse means home is where the Army sends you, so now that she will be living in Anchorage she will have the opportunity to open SSM Anchorage. She hopes SSM Anchorage will bring the same sense of community the other SLAM villages have built all while role modeling a healthy lifestyle for our kids. 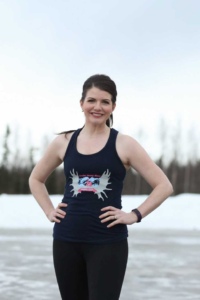 Katie’s favorite ways to SLAM are high intensity workouts to music, dancing, and a group run, but occasionally she craves a long solo run with just her music. My name is Patti and I’m a SLAM Anchorage OG and photographer. I’m married to my best friend and we have three beautiful kids who keep us busy day and night. I am so thankful for the ladies of SLAM Anchorage, and I’ve loved being able to photograph them over the past year. When I’m not SLAMing, you can find me reading, running, cooking, or sneaking snacks while hiding from my kids. 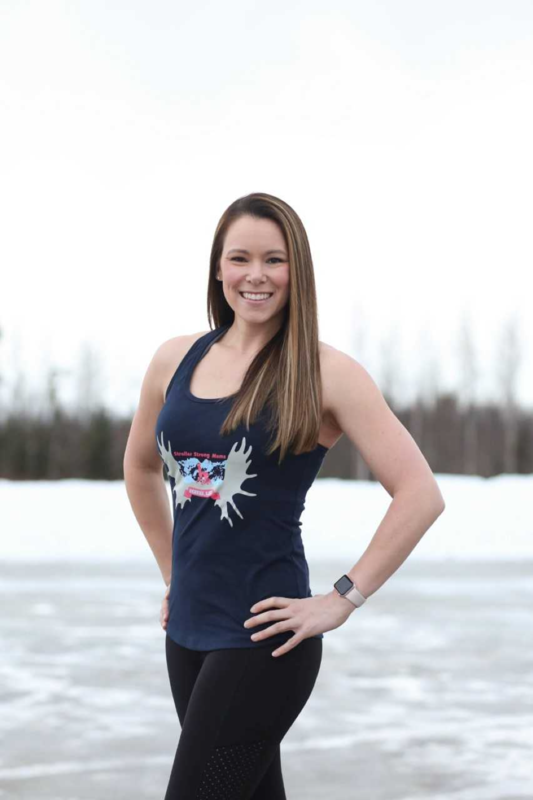 Jessica is an ACE certified group fitness instructor and CPR/First Aid certified. She is a proud Army brat turned spouse and mom to three kiddos, holding a Bachelor of Science degree in Early Childhood/Special Education from Mercer University. As a founding member of the Stroller Strong Moms-Leavenworth, Jessica was thrilled to help SLAMboss Katie spread the SLAMlove in The Last Frontier’s second location. Literally, landing in Alaska and slamming less than 10 hours later. Jessica’s favorite part of SLAM (besides the sweaty awesome workout) is the tribe of women and minis just doing “life” together. Sophie started coming to SSM Anchorage in 2018 and hasn’t looked back! At SLAM her son has fun and she gets in a great workout, it’s a win-win. Fitness has always had a major role in her life, she played D1 tennis at Gonzaga University where she studied History and Political Science. She is an ACE certified group fitness instructor and CPR/AED certified though AHA. As an Army wife she loves knowing that SLAM is a worldwide community and that each time her family moves she has the chance to join another SLAM family! Sophie’s favorite way to SLAM is through mid distance runs and circuit training. 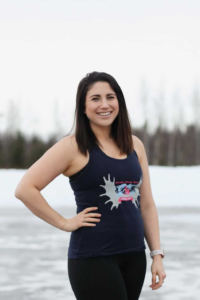 Gabrielle Tullis is the Social Media Manager for SLAM Anchorage, Savannah, and SLAM Nation. She is an Army wife and a mother to a wild two year old boy. Gabby loves cooking for her family, decorating, reading, and all things Mom-life. She joined SLAM over a year ago when she was new to Anchorage, found her tribe, and never looked back! I seriously cannot say enough wonderful things about Stroller Strong Moms or Katie! Every workout is something different and as challenging as you want to make it. This group works because of the moms that come and push each other day in and day out. 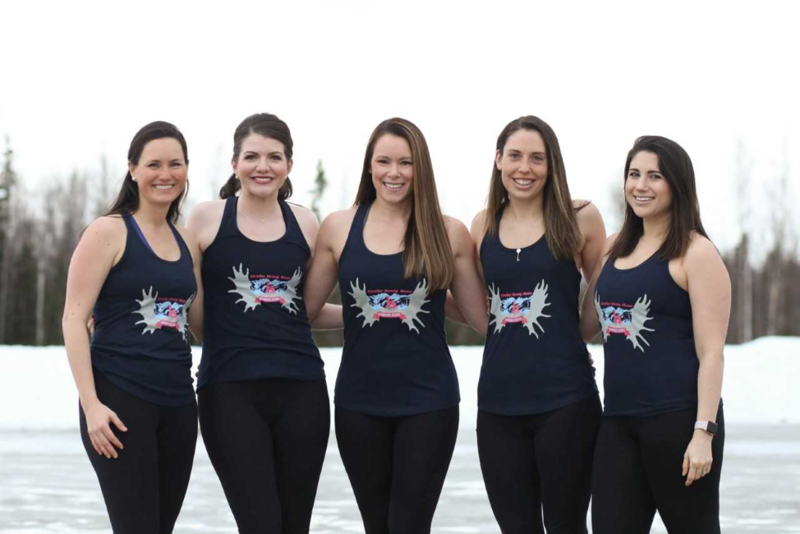 It isn’t just a fitness class, these women become your tribe! And Katie is one of the best, as a fitness professional, athlete and friend!